In 2017, more than 174 million Americans purchased gifts between Black Friday and Cyber Monday. This year, consumers spent $643 million, up nearly 28% from last year, on cyberspending the Friday after Thanksgiving. Millions more will be spent before the end of the year. Shopping has become synonymous with the holidays for consumers of all ages. 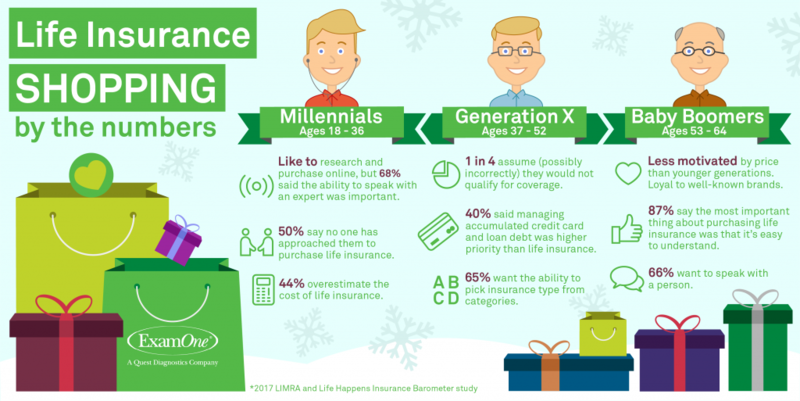 From older buyers being loyal to their favorite brands, to younger people doing extensive research online, seasonal shopping habits may also reflect how consumers shop for life insurance. Let’s take a glimpse at the purchasing trends of 3 very different, yet important, generations of consumers — Millennials, Generation X, and Baby Boomers. Millennials are 18-36 years old and make up the largest generation in our history at approximately 92 million. According to the Insurance Barometer Study from LIMRA and Life Happens, 51 percent of this age group does not have life insurance. Baby Boomers: They are loyal customers that are becoming more technological savvy. 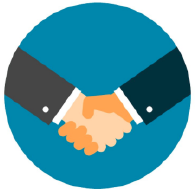 Relationships with these clients are important to ensure they are comfortable to seek your advice. Updated 2018 data: Don’t forget to build relationships with this group online too, a study by Google shows that boomers and seniors spend more time online than they do watching TV. Today, many are still seeking the perfect last-minute holiday present. However, life insurance professionals are available year-round to help consumers of all ages find the important gift of protection with life insurance. National Insurance Day is recognized this year on Wednesday, June 28. It is a great opportunity to review current life insurance coverage or obtain new insurance. 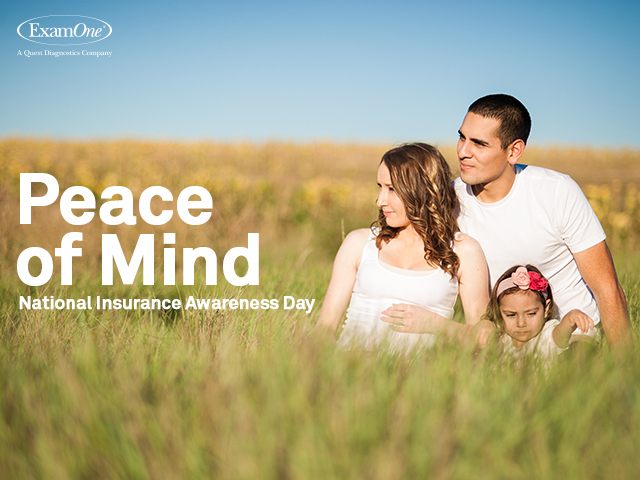 Life and disability insurance can offer peace of mind in the face of financial catastrophe due to illness, injury or even death. The truth is that life insurance is probably less expensive than most people think. Working with a life insurance agent can help you find a policy to fit any budget. At LifeHappens.org, a nonprofit organization that helps educate the public on the importance of insurance, there is a “life insurance needs calendar” to help calculate how much insurance is needed and an “agent locator” to help find a local professional to explain and discuss options. It’s also important to remember that by completing a health exam during the process may allow a healthy individual to obtain better premiums. It is imperative to plan for an individual’s and family’s future in the case of an unexpected death or injury. Financial hardship such as unpaid mortgages, funeral costs, and medical expenses are one aspect of these unfortunate events. Obtaining a life or disability insurance policy is one of the best ways to help plan for these situations. Examone can provide peace of mind by showing the simplicity of the process to protect your family. Learn more at MyExamOne.com. What is the ‘hidden healthy’ and how does it aid in underwriting?